Keeping up with The Caseys: Shenannies and a Giveaway! 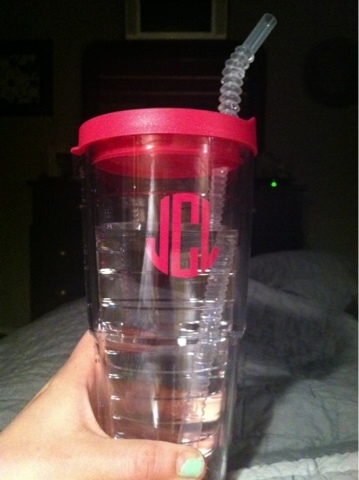 First off, my monogrammed Tervis arrived on Friday and I'm all sorts of excited. I've been consuming all of my adult beverages out of him, all weekend long. My kitchen window is green and full of spring! My Sunday Funday consisted of dog loving, sombrero wearing, dart throwing festivies. *please ignore the redneck decor. Broke out the Lobstah glasses in memory of my dad. It was his birthday this weekend. I miss him so much. Spring is here and so aren't Sperrys. And because I love it so much, I'm hosting a giveaway for all you camera addicts! Stop by her shoppe and check out all of her great fabrics! Enter the rafflecopter, now! I am in LOVE with your kitchen sink windows... so pretty! I would enter but I don't have a large camera like that :( Sounds like it was a relaxing weekend! I love that cup!! i need one in y life!! That camera strap is so cute and I LOVE YOU SPERRYYYSS!! Oh, I just got my first DSLR camera so I'm loving the Turquoise, Lime and Grey print..and shes a NC girl, may have to purchase one if I don't win. Love your tumbler & sperrys - so cute! YAY for spring starting to show her pretty face! I can not get over how bit that dog is! Also loving that window! I'm not entering because I already have one and you're right, they're awesome! Just wanted to say that I'm in LOVE with your Sperry's... those are super cute!! I love the Black and White Damask pattern! And that lobster cup is too cute. your weekend sounds like it was AMAZING!! that dog is just BRILLIANT!! what kind is it!? love those lobster glasses- so sweet. looks like you had a great weekend! Loving that camera strap and those sperrys! Adorable! !